Bruno Prado was born in Rio de Janeiro and is known as Teacher, dancer and choreographer. He has begun his journey in 2008, where he started to learn all the brazilian ballroom dances. He is practicing Forró since 2009 both inside and outside of Rio de Janeiro and is qualified by the dance school of Alex de Carvalho. Bruno brought a joyfull style with a lot of energy in Forró by creating his own style. It has been nearly 3 years since he is making Tours all over Europe. His main goal is to spread Forró all around with fantastic performances and an endless sympathy, conquering more and more place in the world for the sake of Forró. 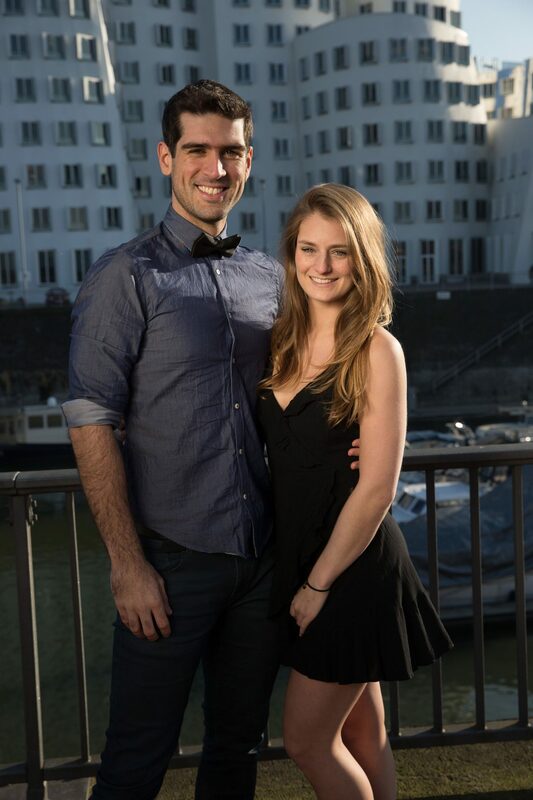 Together with his dance partner Diana Richter he develops the brazilian couple dances (Forró, Samba de Gafieira and Zouk) in Düsseldorf, Germany. So far he already took part in more than 30 festivals as a teacher as well as congresses and workshops. Diana Richter, born and raised in Düsseldorf, dances with passion since she's three years old. She works as a professional dancer, teacher and choreographer. She is most familiar with Modern Contemporary dance, Hip-hop and Elementary dance. Before that she practiced Ballett , cheerleading and dance floor and participated in many competitions. She studying sports and dance in Cologne and also finished a three years dancers education. Since 3 years Diana also practices Forró and teaches it now alongside with Zouk and Samba de Gafieira. 2015, she became a member of a dance theater ensemble which produced successful performances throughout the last years. Diana gives also classes and workshops in Ladystyling and Latin dance. Because her love and passion for dance is such inspiring and so important to her it is a honor for her to share this passion with other people. Especialidades de Aula no Festival (em inglês): Turns technique, Contact and Connection, Turns whit Complex Arms, Acrobatics.